Your Skin is a Masterpiece, a Work of Art! There is no need to be brown with envy - You're Beautifully Dark. Come to appreciate its unique blend of quadruple extended and instant bronzers formulated in a natural base of Sunflower, Coconut and Monoi de Tahiti oil in a skin conditioning Aloe Vera base. 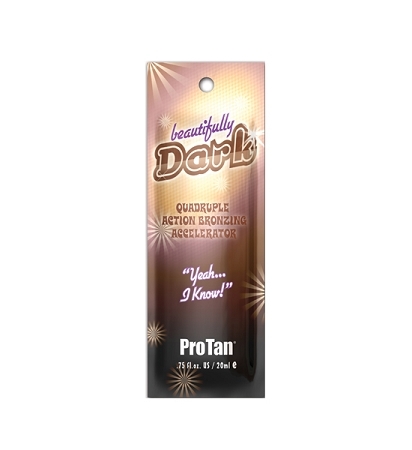 Delectable advanced tanning accelerators and skin care ingredients create a Beautifully Dark glow.